Campus staff have until May 15 to apply for the Grants for Innovative Teaching program. The Junior League of Dallas provides the grants of up to $2,000 to fund innovative learning projects. 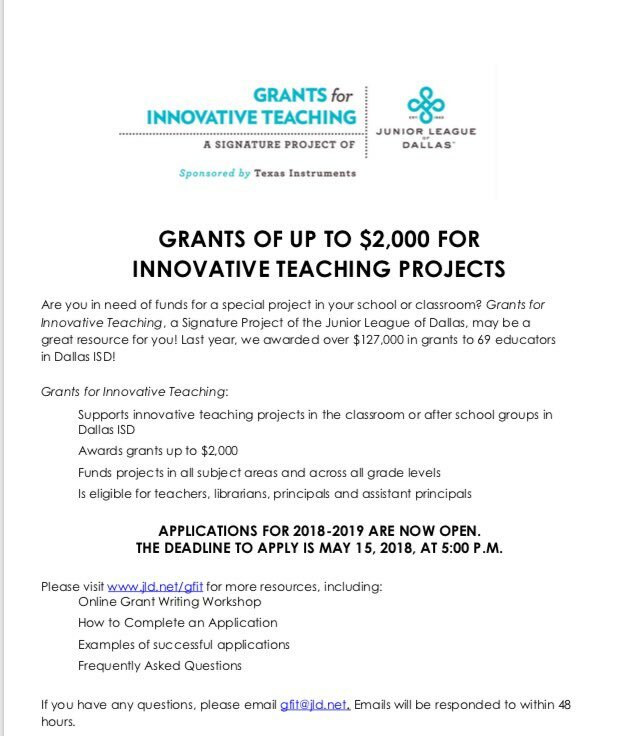 Teachers, librarians, principals and assistant principals can apply for the grants.